A simple cell phone can make a huge difference in the lives of the billions of people who live in the world’s least developed countries. There, apps aren’t only resources for work and entertainment, but tools to improve the health, security and income of the poorest. There are already more mobile connections than people on the planet, according to Global Mobile Suppliers Association (GSMA) data, which estimates that six out of every ten people in the world have access to a cell phone. 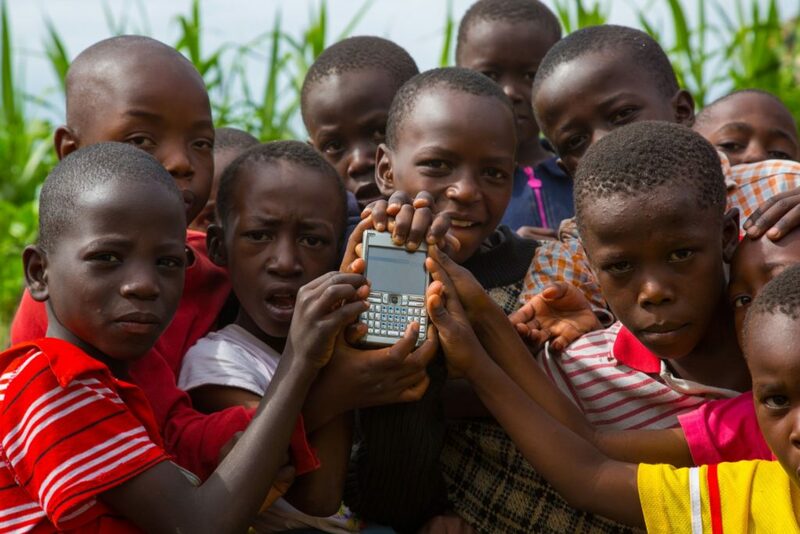 Most of these people live in developing countries, and although most of their devices only have voice and SMS services, cell phones have helped improve the quality of the their lives. Women and children are affected the most by poverty, violence, the lack of healthcare or economic crises. However, a recent GSMA survey revealed that nine out of ten women feel safer carrying a cell phone and 85% say it gives them more independence. In many developing countries, the lack of information is one of the biggest barriers to improving the population’s health. 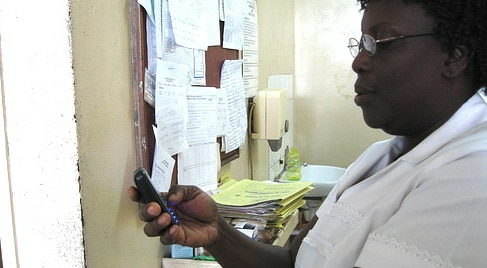 Cell phones have become an essential tool to prevent diseases and improve medical care. – Thanks to MAMA (Mobile Alliance for Maternal Action), two million women in 70 countries receive vital information on a healthy pregnancy and birth, as well as how to care for their babies. – Hi4Life uses mobile messaging services to respond to medical questions and share information on sexual health in South Africa. More than three million people use this app which seeks to fight sexually transmitted diseases, especially AIDS. – mHERO is a tool UNICEF has launched to maintain contact with healthcare workers. It’s very useful to get firsthand information on epidemics like Ebola and Zika and respond rapidly to the heroes who risk their lives in the field. Diseases are not the only threat to the survival of the poorest, especially in the African continent where the life expectancy in most countries is under 50 years. Armed conflict, genocide and natural disasters are some of the plagues that cell phones are helping to combat. – USAID, the U.S. development agency, has implemented a program that allows Kenyans to report incidents of ethnic violence by SMS. The information received is used to create a map of dangerous hot spots, which can be consulted using a cell phone. The system is also being used in the Democratic Republic of the Congo. – Kenya’s mobile fire fighters represent another innovative program to improve Africans’ security. 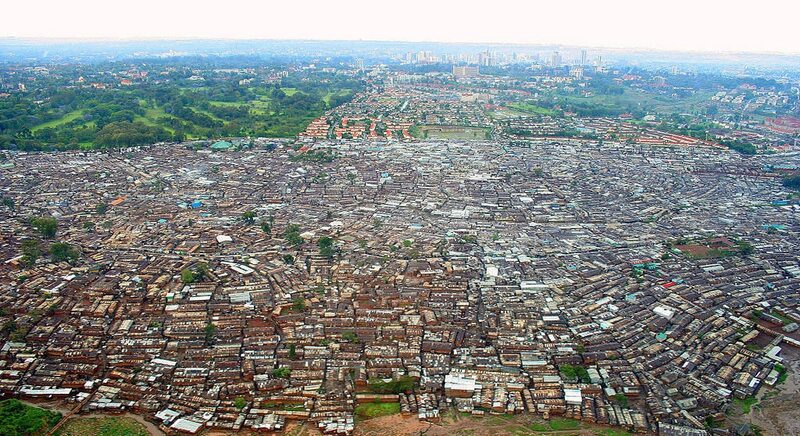 Wooden homes in the poorest neighborhoods of African cities frequently catch on fire, causing major tragedies. The Kenyan Red Cross collaborated with the company Halo Smart Labs to develop a smoke detector system that automatically warns people living in nearby homes and firefighters by SMS. In 2025, this program will be implemented in other countries, benefiting one billion people. According to the World Bank, half of the world’s adult population, more than 2.5 billion people, does not have access to a checking account due to difficulty getting to a bank branch, the maintenance costs or the frequently complex requirements to open an account. This means that these people cannot save, open a business or recover from a poor harvest or natural disaster. But cell phones are helping people overcome these obstacles. – M-pesa (“mobile money” in Swahili) is an app developed by Safaricom that started in Kenya since 2007. It is currently being used in seven African countries, as well as India, Albania and Romania and now has 25 million users. This service gives access to financial services to people were not previously part of the financial circuit. Users only need a basic cell phone to send and receive money, receive payments or add money to their phones. They don’t have to go to a bank office, or even have a bank account. Customers can deposit and withdraw money from a network of operations, which includes, for example, those selling pre-paid cards. – A similar app developed by USAID to help the Afghan government pay government officials and police officers managed to fight corruption, without even trying. The kickbacks intermediaries took from government employees’ salaries lowered their paychecks to such an extent that the officials thought they had received a 30% raise. – The BBVA Microfinance Foundation is also committed to technological innovation improving the lives of their customers. More than a thousand of the Foundation’s employees in Peru are participating in a program in which the agents, taking only a mobile phone with them, go to entrepreneurs’ home or office, saving them travel time and transaction costs. Internet access is now the dominant factor in financial inclusion, overtaking other variables such as race or education levels in determining whether someone participates in the traditional banking system, BBVA Compass economists write in an op-ed posted Thursday on American Banker’s BankThink blog.